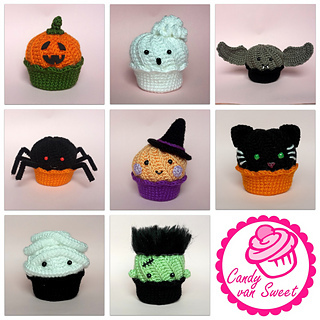 This is the crochet pattern for halloween-cupcakes with swirl-frosting. It contains the cake, frosting, cream puff and everything you need for the halloween style. And of course some inspiration for more cupcakes.